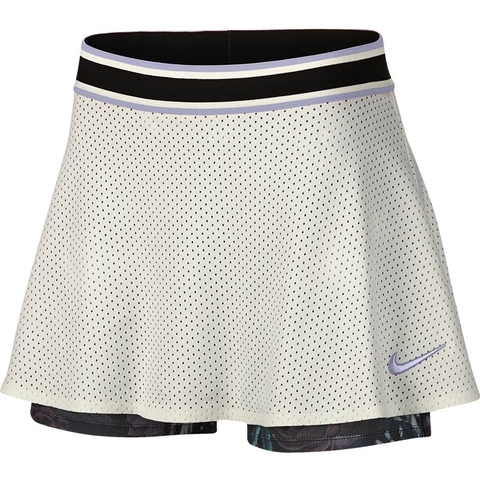 The NikeCourt Dri-FIT Skirt blends the mobility you need with the comfort you crave. 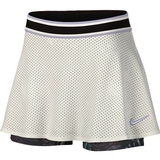 Stretchy mesh moves with you, while a floral print on the inner shorts shows off a pop of color with every step. Mesh fabric with spandex moves with you. Flat, elastic waistband provides a snug, flattering fit. Dark floral print on the inner shorts celebrates the classic tradition of French florals, with a modern, expressive twist.